Formulaic but still very creepy, with a flash in the pan ghost. The children are back in the haunted Eel Marsh house after more than 40 years from the first fright strike of the Woman in Black—the stories are not necessarily connected although referenced. Feeding on bad feelings, the Woman in Black surreptitiously takes control over one of the wards of the stunningly beautiful Eve Parkins (Phoebe Fox) who is determined never to let him go. 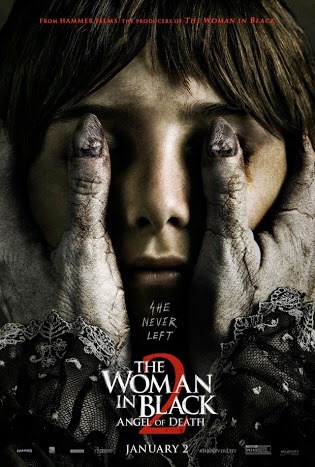 Treading on the same haunting experience from the original, this sequel is presented with a glossier and darker scenes that would kept the audience anticipating for more, at least for a while. Although the movie provides no explanation, one can assume that the Angel of Death is the Woman in Black.